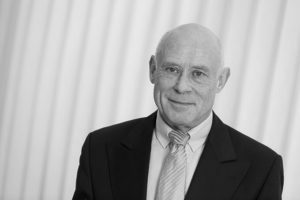 On March 23, 2019, our long-time colleague Dr. Konrad Lammers died unexpectedly of a heart attack at the age of 71. He was a foundational pillar of the Institute for European Integration of the Foundation Europa-Kolleg Hamburg. As Research Director he had a decisive influence on our research planning, played a instrumental role in shaping our diverse scientific activities and was dedicated to supporting our visiting scientists in Germany and abroad. As an academic teacher, he has been very involved in our postgraduate programme “Master of European and European Legal Studies”. His profound economic expertise ensured the interdisciplinarity of integration research at the Europa-Kolleg Hamburg. Dr. Lammers leaves a serious gap in the scientific staff of our institute. We lose a competent economist as a scientific discussion partner, a committed colleague and a reliable friend. We will miss him very much. The Foundation Europa-Kolleg Hamburg and the Institute for European Integration will always honour his memory.